News and views about hypnosis, hypnotherapy, personal development and the Biggest Little State in the Union. Your comments most welcome. Just came out today – This article explains a little about the science behind hypnotism, its uses and how to pick a hypnotist that is right for you – available on newsstands or by clicking here for an online version. Everyday I see miracles. People come to me as smokers and leave as non-smokers. They free themselves from fears and destructive habits that have troubled them for a lifetime. They lose weight and gain confidence. These people have benefited from the power of hypnosis. You don’t have to understand how hypnosis works or even what it is to allow it to empower you to make important and lasting changes in your attitudes, emotions and behaviors. Hypnotism is most commonly defined as an altered state of consciousness resembling sleep in which the subject’s susceptibility to suggestion is increased. The hypnotist’s voice takes the place of the client’s consciousness, where old negative ideas adopted in childhood can be replaced with new ideas introduced into your subconscious. You might say hypnotherapy is a way to reprogram your cognitive software. A Stanford University study in 2016 using MRI technology demonstrated a significant difference in brain activity while a person is under hypnosis versus ordinary consciousness. 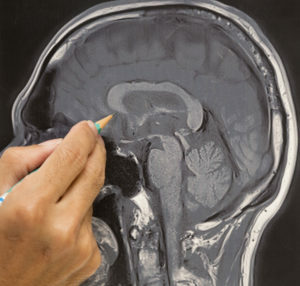 MRI measures brain activity by detecting changes in blood flow; the results were significant in validating hypnosis as a real, measurable phenomenon. Dorsal anterior cingulate showed decreased activity. This is the part of the brain that takes the information from our senses and decides which is the most important. By decreasing activity in this area, you are less concerned about the outside world and more focused on your internal world. Dorosolateral prefrontal cortex and insula showed increased connections. This is the connection in the brain that helps process and control what is going on with the body. Dorosolateral prefrontal cortex, medial prefrontal and posterior cingulate cortex showed decreased connections. This “disconnect” partially explains why during a hypnosis show a person can be doing something pretty silly and not be embarrassed. The subject’s brain awareness (consciousness) is disconnected from what they are actually doing. The experience of being hypnotized itself usually includes some or all of the following: feeling of relaxation and disassociation, heaviness or lightness, time compression or expansion, physical sensations such as tingling or numbness, partial amnesia (certain things are forgotten like waking from a dream and the memory quickly fading), euphoria or deep mental relaxation, hallucinations including colors and scents. There are also observable measurements of hypnotism such as catalepsy of eye muscles or even limbs. Bottom-line? You can expect a pleasurable, relaxing experience. It is important to know that everyone of normal intelligence can be hypnotized. About 20% of people are natural somnambulists: they can enter the deepest stage of hypnosis very quickly, often with complete amnesia, but somnambulism is not necessary for outstanding results. It is well-documented that you cannot be made to do anything against your will and that all hypnosis is self-hypnosis. In fact, any hypnotist no matter how skilled is nothing more than a facilitator trained to help you find your own power. So how do you find the one who’s right for you? Certified hypnotists and hypnotic coaches represent a distinct, separate profession in the United States. Here is the U.S. Department of Labor’s Dictionary of Occupational Titles description. Induces hypnotic state in client to increase motivation or alter behavior pattern through hypnosis. Consults with client to determine the nature of problem. Prepares client to enter hypnotic states by explaining how hypnosis works and what client will experience. Tests subjects to determine degrees of physical and emotional suggestibility. Induces hypnotic techniques of hypnosis based on interpretation of test results and an analysis of client’s problem.• May train client in self-hypnosis conditioning. This is a national definition of the profession. 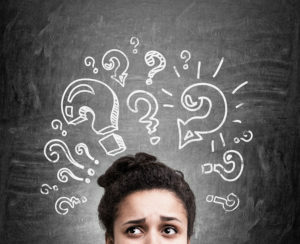 In Massachusetts, Rhode Island, Connecticut and New Hampshire, the term hypnotherapist is not used unless one is also a licensed mental health counselor. However, both hypnotists and hypnotherapists are happy to work in consultation with psychiatrists, psychologists and other licensed mental health providers under their direction as part of a team. Many people won’t even seriously consider a hypnotist until everything else fails and they are desperate for relief. That is very unfortunate, because a certified hypnotist should be the first professional you call, not the last, for everything from smoking cessation to stress management. 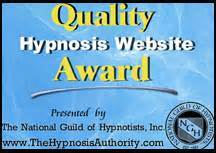 The Internet makes it very easy to get a sense of a hypnotist before you even call. Here are a few tips. Remember, you are the boss and are shopping for someone who may become very important to you. Your choice of a hypnotist is certainly at least as important as the issue you are looking to address. Visit their webpage. You will get a feel for them and get answers to many of your questions. Look at comments and reviews from former clients online. Referrals from your doctor, therapist and friends. If you are lucky, you may get a referral to a hypnotist from a professional. A few physicians refer to certified hypnotists. A traditional therapist may point you to a hypnotist with a good reputation. You may have friends or family who rave about the results they got in quitting smoking or losing weight with a particular hypnotist. Call a prospective hypnotist and ask questions. Get a feel for them over the phone. Are they rushed or interested in what you have to say? Do they seem to have a solution that will work with you? How many sessions do they recommend? Are they forthcoming about costs? Take advantage of the offer of a free consultation if you have any doubts. Many hypnotists will gladly either spend time with you on the phone or invite you to come into their office for a 15-30 minute free consultation. Look at qualifications. 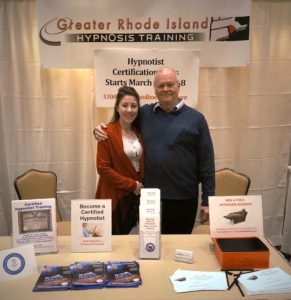 Hypnosis is not a licensed profession in Massachusetts, Rhode Island, New Hampshire or Connecticut. Education and training in hypnotism and coaching vary. Most professional hypnotists — but not all — are certified by national associations like The National Guild of Hypnotists with ethical and ongoing educational standards. Time in practice is another indication, but not the sole criterion for a hypnotist’s suitability for your issue. You want someone who has been in practice for a while working with issues similar to yours, but that doesn’t mean a newcomer to the field with specific experience may not be the perfect person to help you achieve your goals. Consider life and professional experience. 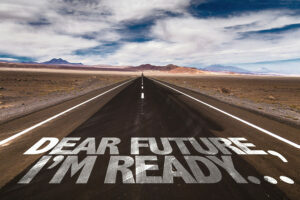 Find out if the hypnotist’s background is a good match for your life experience and needs. Often hypnotists are best at helping people handle issues they themselves have overcome. At the least, find out if the hypnotist has worked successfully with people with your issue. Do you have good chemistry? A therapeutic hypnotic relationship is built around rapport. 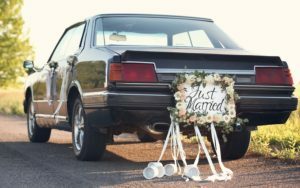 While there are certainly exceptions, if you are 65 and facing retirement issues, you probably won’t relate as well to a 20-something just starting her life as you would to someone closer to your age and life experience. If you are gay, you would be wise to avoid a hypnotist with repressed homophobia. If religion is important to you, find someone who seems to have a spiritual approach. If you are in 12-Step recovery, you’d be well advised to find someone who understands what is involved, whether he or she is in recovery themselves or not. Does gender make a difference to you? Do you prefer a male or female hypnotist? Gender may not be a factor in your case, or for an issue like quitting smoking, but if it is for you, listen to your instinct. Beware of exaggerated claims. No one can guarantee 100% success from any human intervention. Be cautious of those who claim to do so. Be aware of phony credentials. There is no such thing as an accredited doctorate in hypnotism or hypnotherapy. Be very wary of someone who claims to have earned one. What is your price point? A hypnotist should be clear about how much hypnosis sessions cost and how many he or she recommends for your issue. Most hypnotists will offer you a free 15-30 minute consultation in the office of on the phone. Why not take them up on the offer? Be aware of very expensive and very cheap. Beware of attempts to lock you into programs for dozens of sessions in advance at thousands of dollars. Generally this is more marketing hype than sound hypnosis. And don’t expect too much from low priced hypnosis groups. Keep in mind that hypnosis is about giving you back your own power. You are always the boss. If you don’t feel a hypnotist is a good match, don’t be afraid to tell the hypnotist you will not be continuing. Look for the one that is right for you. John Koenig, BCH, is a board certified hypnotist who has practiced in Seekonk, Massachusetts and Warwick, Rhode Island since 1998. 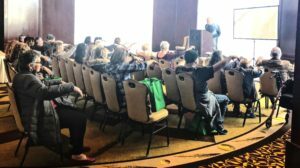 He is also a certified instructor who trains people to become professional hypnotists as a part-time or full-time career. 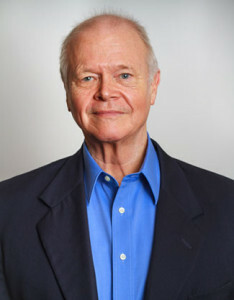 John’s work has been featured on both NBC and ABC National News and he is the co-author of The Hypnotic Coach. Henry Ford put it this way “Whether you think you can or you think you can’t, you are right.” It is almost as if our beliefs hypnotize us for better or for worse. The sad truth is that by the time we are 5, 6, 7, or 8 years old we have more or less figured out our map of the world. This map is our subconscious belief structure. We then ask ourselves questions based on these subconscious beliefs to guide our behavior. These questions and answers reinforce our child’s eye view of the world as a place either of possibilities, challenges and opportunities or failures, dead-ends, and threats. Our analytic mind stubbornly keeps insisting our childhood conclusions are right: it discounts any attempt at correction. The psychological term is self- fulfilling prophecy. But for many of us it is a series of self-un-fullfilling prophecies. Why do I always lose my temper with my kids (co-workers, wife/husband, other drivers, etc)? Why can’t I get out of my own way? Why is it so easy to quit smoking, drink less, eat more consciously, start going to the gym? Why do I show amazing self-control with my kids (co-workers, wife/husband, other drivers, etc)? Why am I so confident and at peace? I call this my Possibilities Process™ and it is extremely efficient and effective because it gets to the root of the problem: how we see ourselves and the world. Hypnosis is commonly used for smoking cessation, weight loss, stress management. But hypnotism is a also a great supplement to traditional therapy and, in fact, works anytime you want to change the way you think, act or feel. Sound interesting? Then give me a call and lets work together change your inner script helping you turn new possibilities into your day-to-day reality. A short (10 minute) hypnotic boost. Just watch with the issue we are working on in mind and see what happens. Ideal for quick support between office visits .